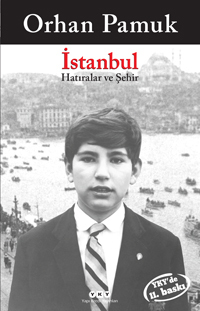 Orhan Pamuk presents the reader the interesting story of the city of Istanbul he knows in a novel form, combining it with his own life story until the age of 22. This story, heads from Pamuk’s first feelings related to ‘his own’ to his mother, his father and his family, and as a source of happiness and sadness, opens out to the streets of Istanbul. As we discover Istanbul’s streets in 1950s, the roads with cobblestones, ruined blasted wooden mansions, the difficulties of the disappearance of an old culture while a new culture rises out of the ashes and shambles of it, we can follow swiftly the evolution of Pamuk’s spiritual world as if we’re reading a detective novel. In this unique piece that searches Istanbul’s black-white melancholy, we find the unity of soul and emotions special to some books which we read time after time.